Is Peugeot quietly undergoing a renaissance? For years, we've lamented the fact that Sochaux gave up its place at the sharp end of some of the best cars of the 80s and 90s, in favour of churning out drab Euroblobs with so-so build quality and a penchant for catching fire. Yet today, there are signs that the company has found its mojo again. First came the 308 GTI which, while not perfect, was at least a genuine leftfield alternative to the hot hatch mainstream. Then the 208 GTI by Peugeot Sport showed that the company had some fire in its belly. 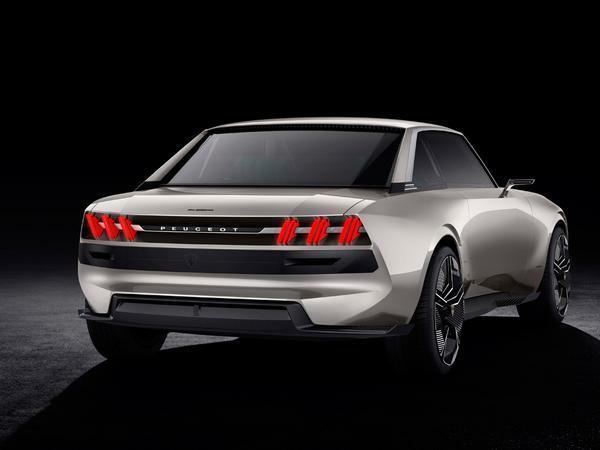 Lately, we've seen more evidence of a return to mainstream form, too, with the 508 - not only a handsome family car inside and out, but one that drives genuinely well - and the 5008 which, while of almost zero interest to PH readers, has been lauded by our sensibly-shoed colleagues over on What Car? as the best large SUV going. 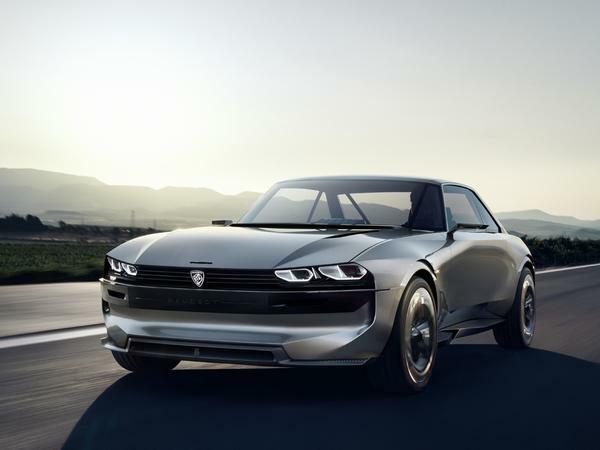 Now the Peugeot e-Legend concept reveals a desire within the company to produce a gloriously retro electric-powered grand tourer that harks back to the 504 Coupe - arguably the most elegant car the company's ever made - that, were it to make production, would shoot straight to the top of the list of the most desirable electric cars out there. Of course, the chances of the e-Legend making production are rather slim, to say the least. 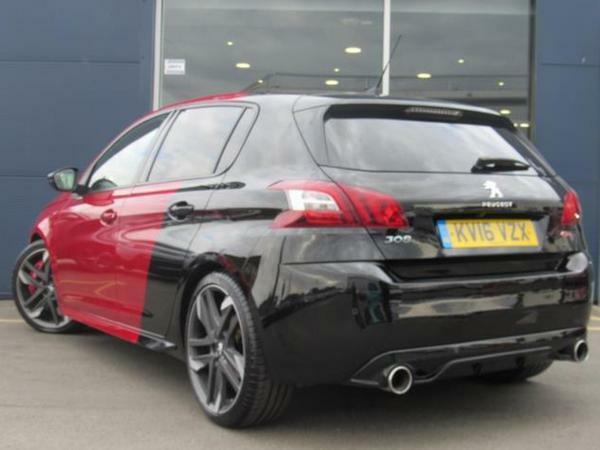 But surely there are some interesting Peugeots out there that we can get excited about right now? Well, yes, actually - there are. Starting with this lovely old 504, of the type which inspired the e-Legend. Actually, that's not strictly true - because this one's a cabriolet. 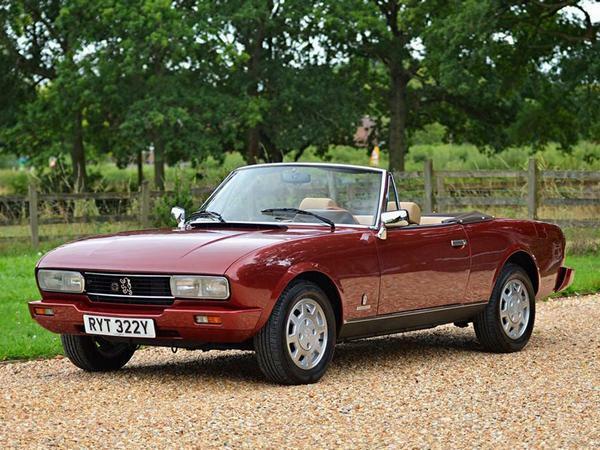 And not just any cabriolet: it's thought to be the youngest 504 registered in the UK, and as such comes with the 1979-on body-coloured polyurethane bumpers, rather than the original items. I can't decide whether it's an improvement; on the one hand, it brings the 504 up-to-date quite nicely, but on the other, the chrome bumpers fitted to early cars are undoubtedly more delicate. Inside, you'll find a brown and cream interior with the rare late dashboard and some rather fetching wood inserts, all of which give a far more luxurious feel than you'd expect from an early 80s Peugeot. And under the bonnet? Ah. Well, it's nothing more than a 2.0-litre fuel-injected four-pot, so performance is leisurely - but with a soft ride and squidgy seats, this was always going to be a cruiser rather than a bruiser. And indeed, why on earth would you want to rush when you can waft along gently in utmost style and comfort? Ok, ok, you probably don't want to waft. 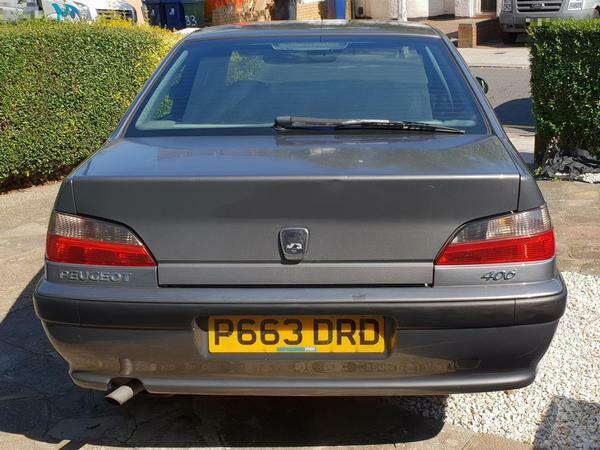 So how about a Peugeot we're a little more used to seeing on these pages? Yes, it's a 306 Rallye. This one isn't even preposterously expensive at a smidge over three grand. Mind you, with 130,000 on the clock, it is a bit leggy, which does make the asking price feel a touch on the strong side. Then again the timing belt has been done as well as a selection of other choice maintenance, and it's completely standard, which isn't always the case with these. Worth a look, then - and if it's a good one, what rewards you'll reap. 169hp at 6,500rpm, a snorting 2.0-litre engine, a lovely, slick six-speed gearbox and one of the finest ride/handling blends of its time. Yet of course, you also get enough usability and practicality that you can sling the kids in the back for a very spirited school run. True, you miss out on a few of the GTI-6's toys - but that just means less to go wrong, which in a Peugeot of this era is probably a blessing. 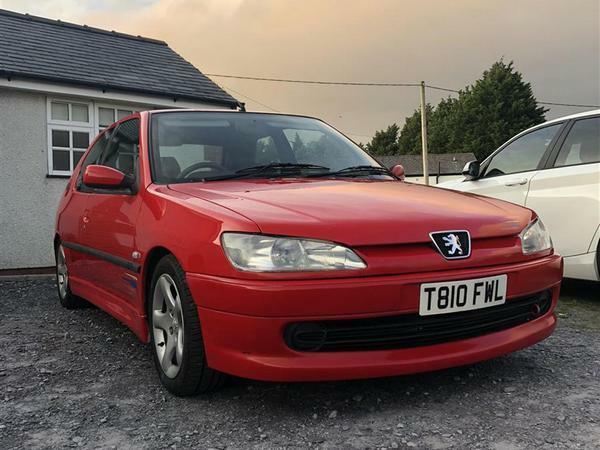 But hold your horses, because the 306's modern predecessor, the 308 GTI, is shedding value fast and, consequently, starting to look like a bit of a used car bargain. 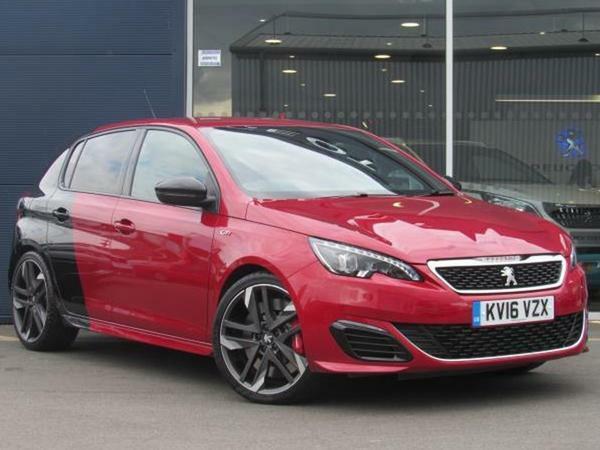 Granted, you won't quite be able to buy one for three grand just yet - but this 2016 Peugeot Sport 270 with 15,000 miles is on for just £15,995, which strikes me as a lot of car for very little cash. It's even got a 'coupe franche' colour scheme. And you're not getting a duffer of a hot hatch, either. Granted, the 308 gives away a little of its traction and performance for greater usability and more comfortable surroundings, but that just means it's more of a pleasure to use day-to-day. It's also one of the lightest hot hatches out there, which blesses it with a superb turn-in, lots of front-end grip and a pleasing amount of throttle adjustability. And frankly, at this price, who's complaining? 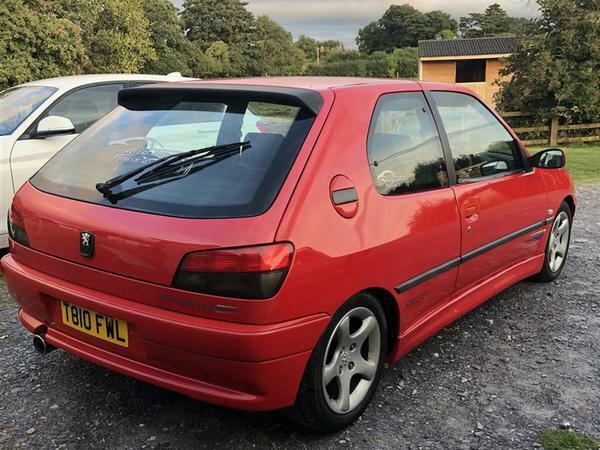 I really think you'll struggle to find another hot hatch of this age, mileage and calibre this cheaply. But enough with the hot hatches - here's a Peugeot from the era when Peugeot was at its best, and one that everyone can afford. It's a 406! 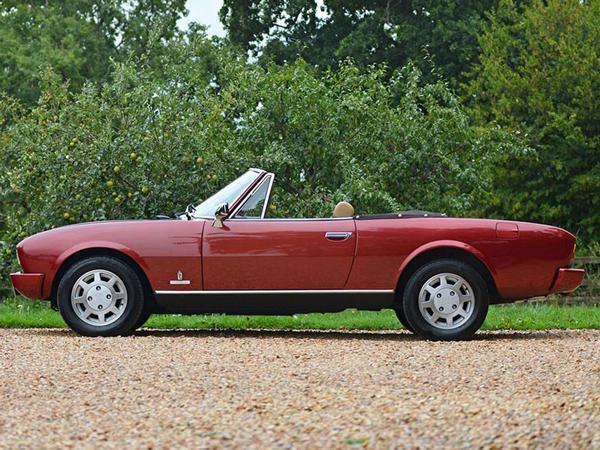 I have to say, it made me smile to see one of these for sale - they're getting rare now. This one's quite special, too, as it's in top-of-the-range Executive trim, which gets you heated seats, cruise, and climate control. I wonder how much of that is still working? The advert doesn't mention that anything's broken, so fingers crossed. The downside is that it's an automatic. And, allied to the 2.0-litre petrol engine, that will probably make it thirstier than a thirsty thing. Nevertheless, it's just £900, which these days is the square root of sod all, so frankly you're already up on the deal. There's a long MOT, too, and just 74,000 miles on the clock. In short, it has loads of life left, should drive sweetly, and would be a pleasure to use daily. 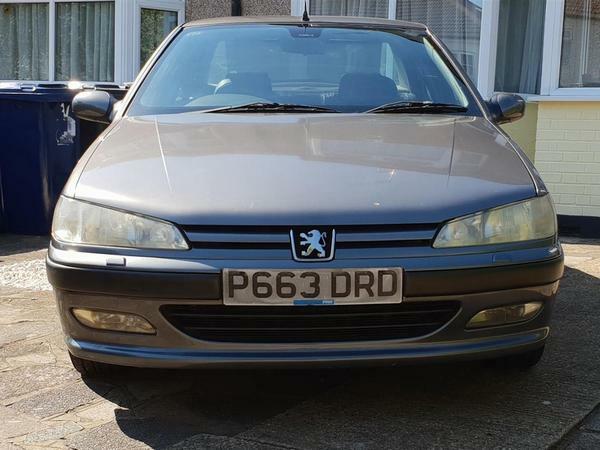 Which, frankly, is what always was so good about Peugeots of its era. What's more, the cynic in me says that for all its considerable emissions, recycling this old shed is probably more ecologically sound than buying a freshly-built electric coupe. Or, er, something. While I understand that the article is written solely to drive traffic to the classifieds, doing so means the unforgiveable exclusion of some excellent material, much of it rare or even mostly unknown. Not forgetting the 406 coupe. A truly lovely shape by a great designer. I think I bought my GTI-6 at just the right time. Values are starting to creep up now! That 504 was mine. Fabulous old wafter and IMO the prettiest four-seat cabrio ever made. Sold it recently as I've bought a 2016 Mustang 5.0 convertible - very different but much more usable as 504 parts and specialist knowledge are thin on the ground in the UK. I had owned 504 cabs for 20 years and thoroughly recommend them!